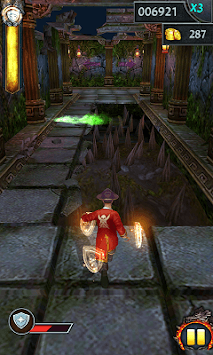 Temple Dungeon Run is the most excited running game that will bring the fast and frenzied game experience to you. Many surprise and adventures are here in the deep and mysterious temple dungeon, waiting for the brave warrior to challenge! 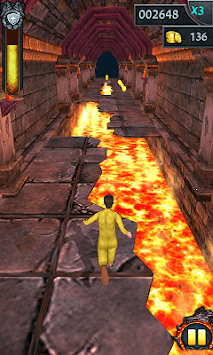 Come on, let’s run to get the higher rank and win more achievements! Beautiful graphics and scene as if you were in a real escape scene! 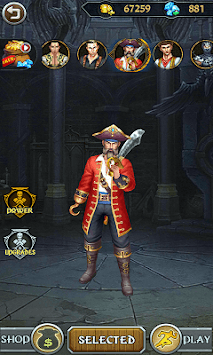 Various roles for you to choose: warrior women, gallant soldier, brave pirate, mysterious Ninja and so on. The deepest dungeon with the amazing adventure, fire, trap and oncoming unknown fear and danger. Everything is possible! You can try fly over the eaves and run on the walls in the game. The smooth control let you enjoy running, jumping, turning and sliding in the game, skillfully avoid all obstacles then you will be the true warrior! Don’t forget to collect your gold during the crazy running. Which can help you to get more rewards. Those can support you a lot for running further. Achieve the tasks will also win generous rewards. You can buy coins and diamonds in the shop also then you can try different roles in the game with an unexpected surprise! What are you waiting for now? Take your phone and download this game, recommend to your friends to play it together! Enjoy the most exciting running game and be the real warrior. The fantastic surprises and rewards await you now. Three, two and one run!